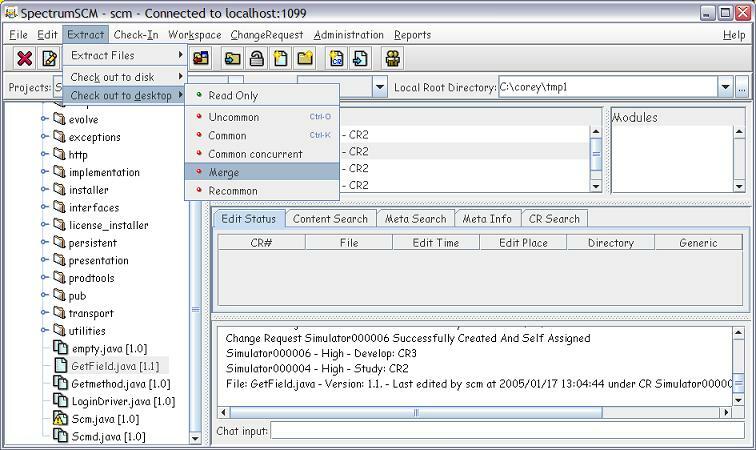 Merging in SpectrumSCM is the act of copying the changes made in one version of a file on one generic into another file on another generic using the SpectrumSCM Merge Editor. In simple terms it is act of copying contents from one file into the other to make it look similar. For Example, Team 1 may have done fixes to a file on the Mainline branch while Team 2 was making different changes to the same file on the skunkworks branch. The changes made by Team 1 need to be incorporated into Team 2's version of the file. 1. To start this activity, from the SpectrumSCM main screen use the Extract menu item and select the check out for Merge option. 2. 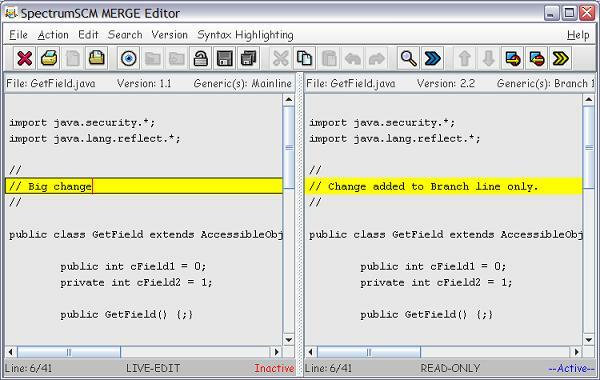 Use the SpectrumSCM Merge Editor to match the two files and complete the merging.